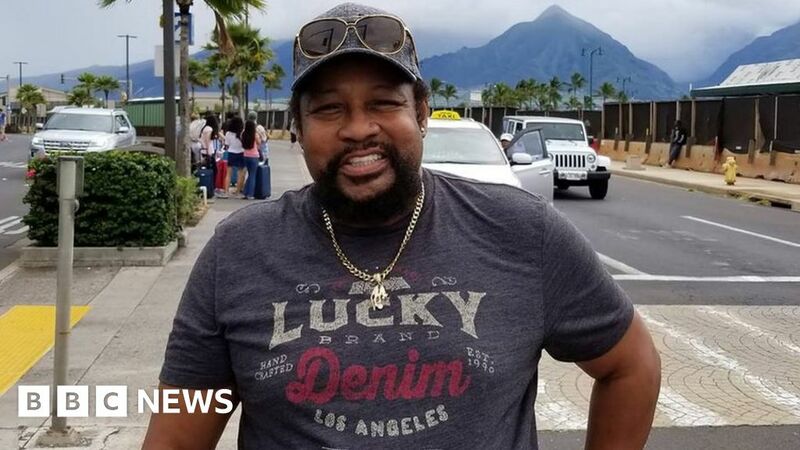 Victor Willis was the traffic cop in 1970s pop group Village People – and sang lead vocals and co-wrote their hits. After winning back the right to use their name from his former bandmates, he’s making a fresh start. Village People still have one of the most instantly recognisable images in pop. Created in 1977 in New York by French producers Jacques Morali and Henri Belolo alongside Willis, their characters – the cop, the GI, the construction worker, the cowboy, the Native American and the biker – were the public face for colossal worldwide hits like Go West, In The Navy and YMCA. They sold around 100 million albums and singles, but Willis quit at the peak of the band’s fame in 1979. That was shortly before their universally derided film Can’t Stop the Music, which coincided with disco music falling out of fashion and the end of the band’s hits. In the years that followed, the remaining members continued to tour under the Village People name, frequently replacing members (in fact, more than 20 different people have played the roles) while affection for their songs enjoyed a renaissance. YMCA became a regular sports stadium anthem and their image was absorbed into popular culture, being pastiched by everyone from U2 to Despicable Me. Since leaving the group, Willis’s personal struggles with depression and substance abuse led him to rehab. Since then, he’s been focused on reclaiming his legacy. In recent years, he won a series of lengthy of legal battles to own the copyright for the hits he co-wrote and sung, claiming millions in unpaid royalties and wrestling the name Village People back from his one-time bandmates. He’s just finished touring the UK, headlining the 40 Years of Disco arena tour, and says he now plans to “reboot the group”. “Not a reunion, but to reboot the group. To have to get new characters. Then I have to get a band like when Jacques and I first sat down and decided we’re going to create this Village People thing. The image of Village People reflected the gay culture that emerged from New York clubs in the mid-1970s, but Willis explains the songs he wrote were concerned with universal themes rather than specifically targeting an LGBT audience. “My situation with Jacques was that we would write music and I would make my lyrics, which they call ‘double entendre’, which means that you can take it any way you want it. Gay people? If you liked it, fine! Straight people? If you liked it, fine! It doesn’t matter. “There were certain songs, which cannot be denied, that were generated toward that particular lifestyle, because that was Jacques’ lifestyle. But that’s not what Village People represents. He explains that in YMCA, Village People’s most famous hit, he was telling the “story” about his own experiences when he was young. “It was about the urban lifestyle of when I grew up going to the Y and playing basketball and hanging out. That was my interpretation of it. I didn’t know anything about the lifestyle of other people that go there. The alternative line-up of the band is now touring as The Kings of Disco, which includes original members Felipe Rose and Alex Briley. But Willis believes he deserves to front the group he helped create after nearly 40 years away. “It’s what they call perseverance,” he says. “I’ve been from the Bucket of Blood to the White House. I’ve been from the top to the bottom. And I had to hold on to my dream that I would one day be able to do – and continue to do – what it is that I love. And that is to make music and make people happy. “I didn’t know 40 years ago that people were going to still like YMCA when I wrote it. It was written just for sharing the enjoyment of the music. So it’s mindblowing that it has lasted and that people still love it, but I didn’t think that they wouldn’t.